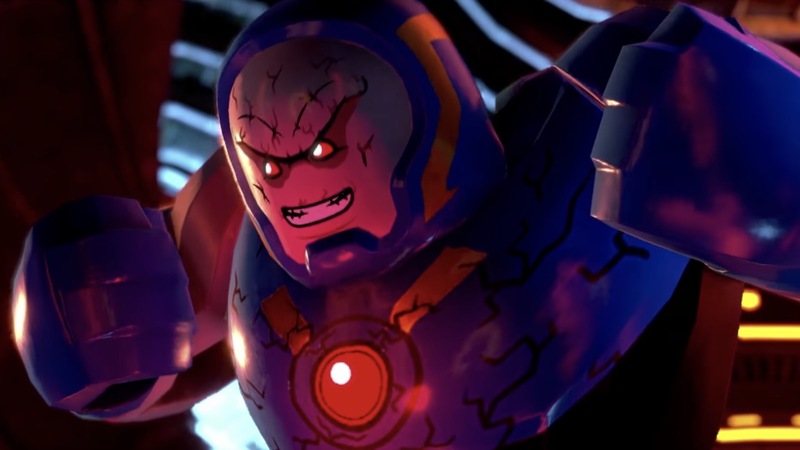 Warner Bros. Interactive Entertainment, TT Games, The LEGO Group and DC Entertainment have revealed a new LEGO DC Super-Villains story trailer to coincide with Gamescom 2018. This shows how one rookie will be challenged to take on the evil Darkseid, who is after the Anti-Life Equation, and must team up with the best of the bad so that they can save the planet. When the Justice League disappears, it leaves Earth’s protection to a newcomer group of heroes from a parallel universe, who call themselves the Justice Syndicate. Soon enough, renowned DC Super-Villains like The Joker, Harley Quinn, Lex Luthor, Deathstroke, Killer Frost, Sinestro and more from the Legion Of Doom realise that Earth’s newest heroes may not be the heroes that they claim to be. With each player’s completely customisable Super-Villain character in command, this team of misfit lawbreakers must join forces to discover and foil the evil plans the incognito strangers have in store. LEGO DC Super-Villains will release for Nintendo Switch in North America on October 16th and in Europe on October 19th.